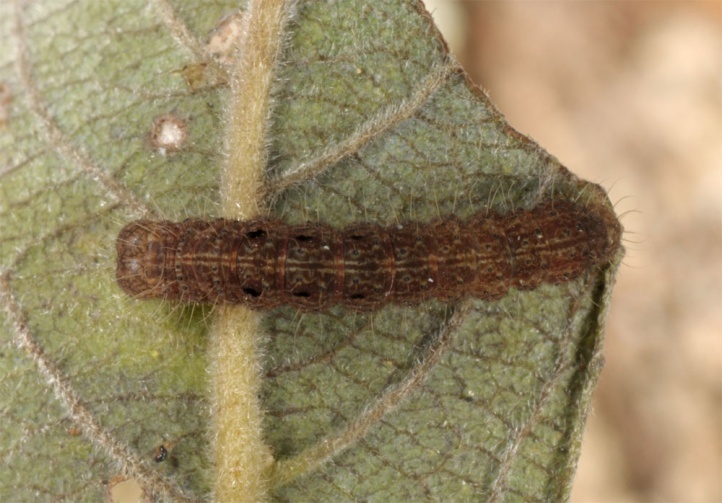 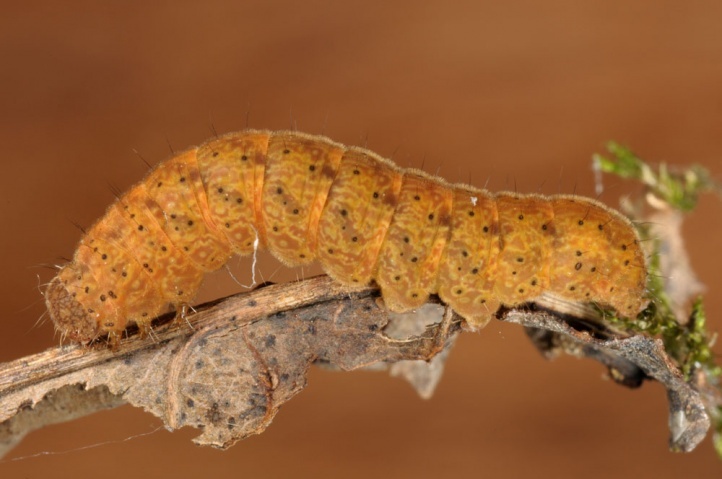 The caterpillar lives primarily from dying and dead leaves on deciduous trees, on broken branches on the ground and also in the litter layer (especially Quercus, but also Fagus, Carpinus, etc.). 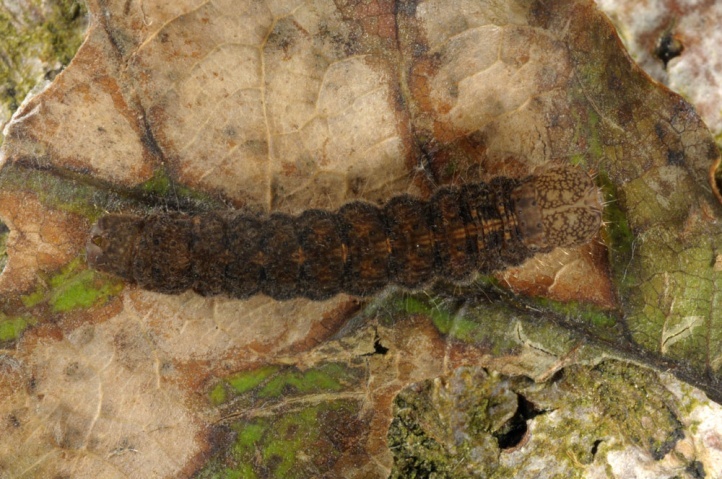 Trisateles emortualis inhabits forests of all kinds, as long as at least a certain proportion of deciduous trees is available. 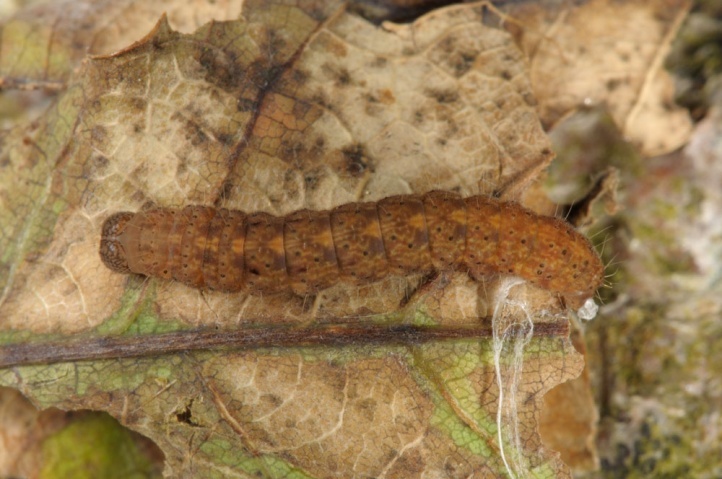 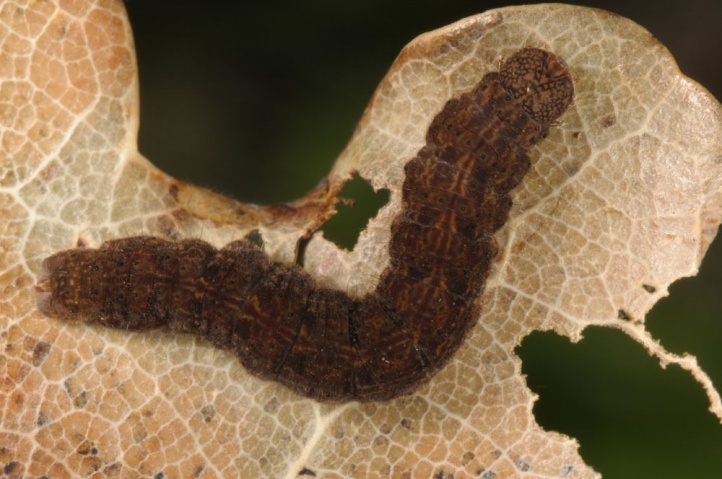 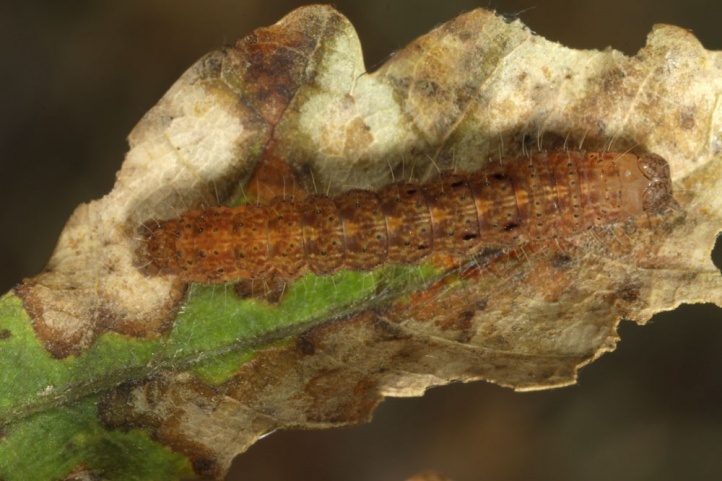 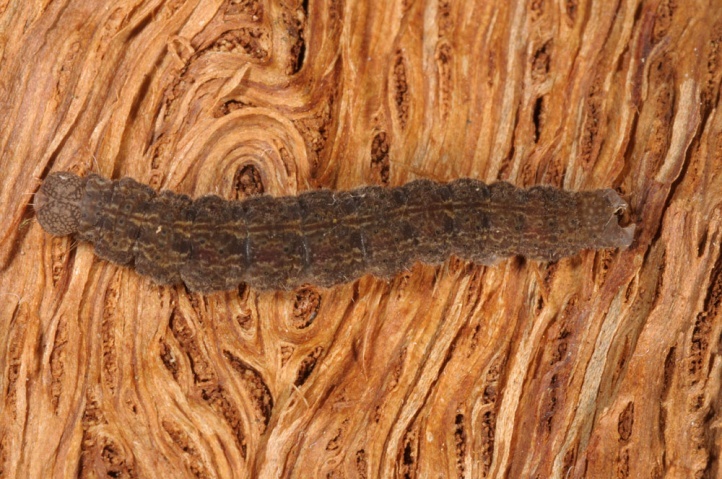 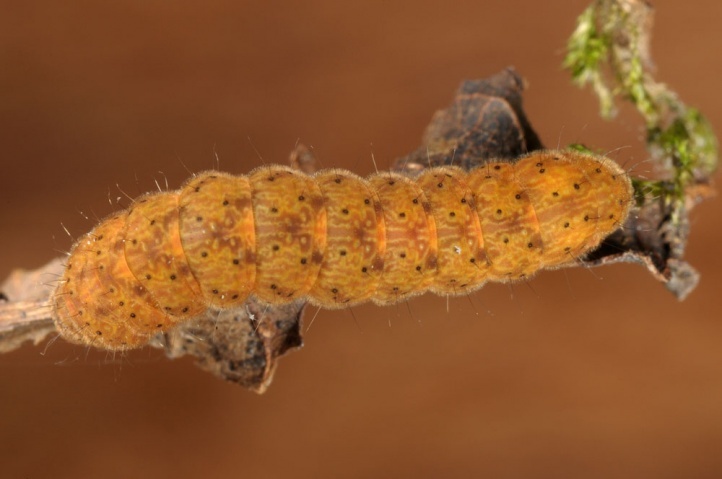 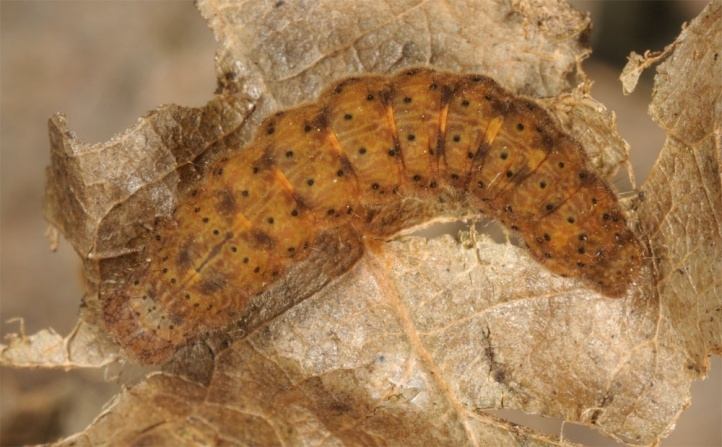 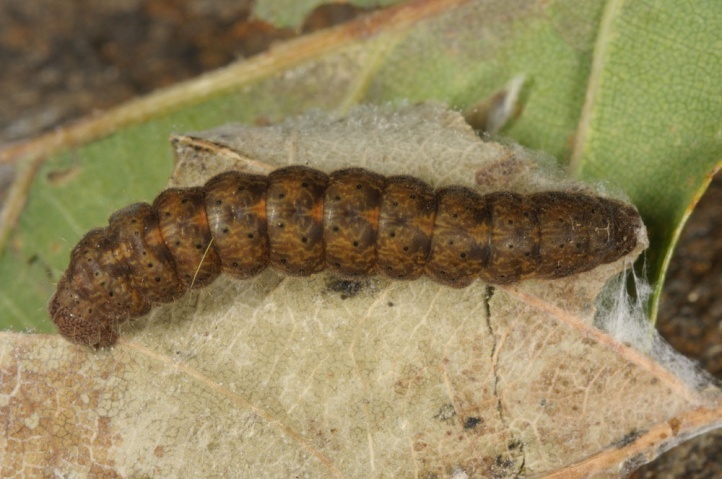 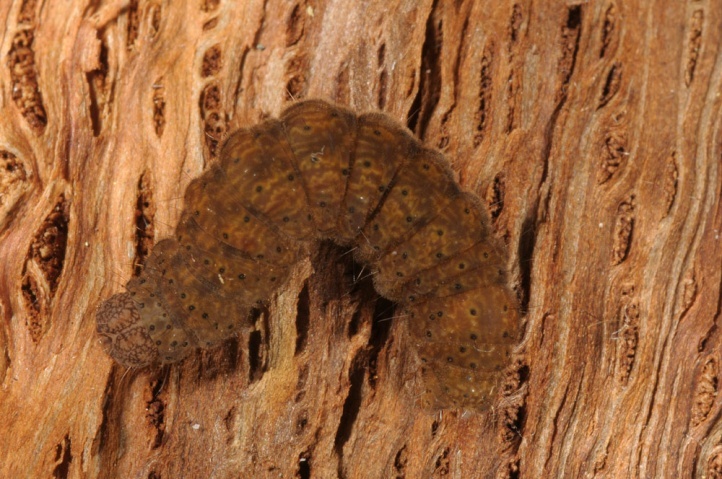 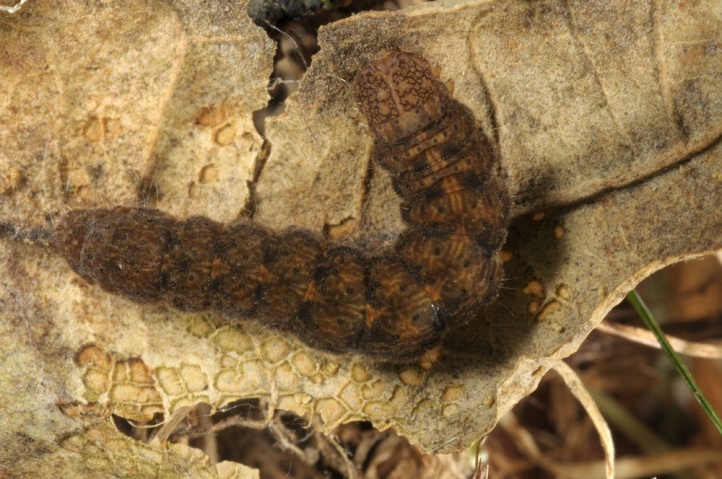 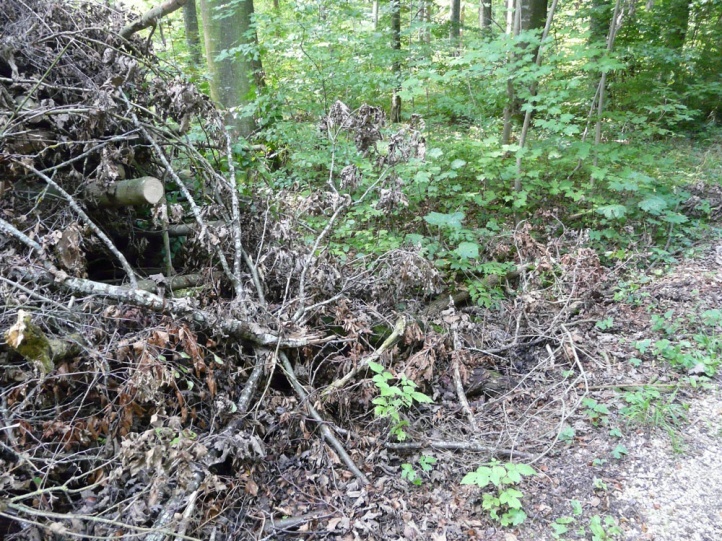 In the summer/autumn of 2011, I found many larvae (Swabian Alb and Upper Rhine) in particular on branches of oaks that were broken or sawed-off some weeks ago and lay on the ground in the undergrowth and where still hung the leaves. 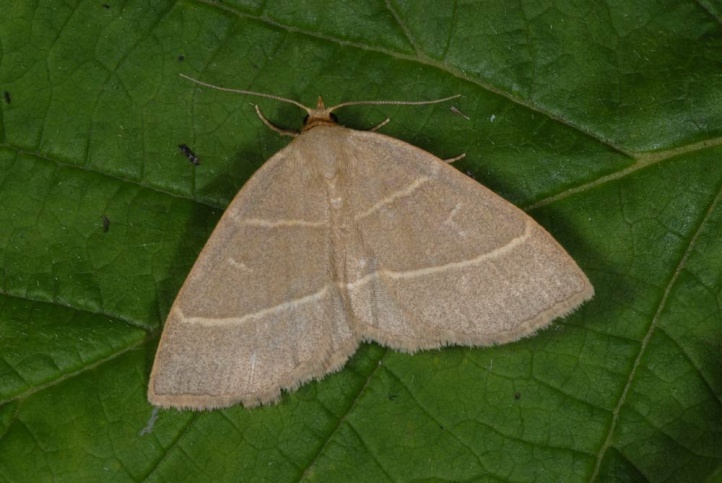 Trisateles emortualis flies in a single generation from late May to late July or early August. 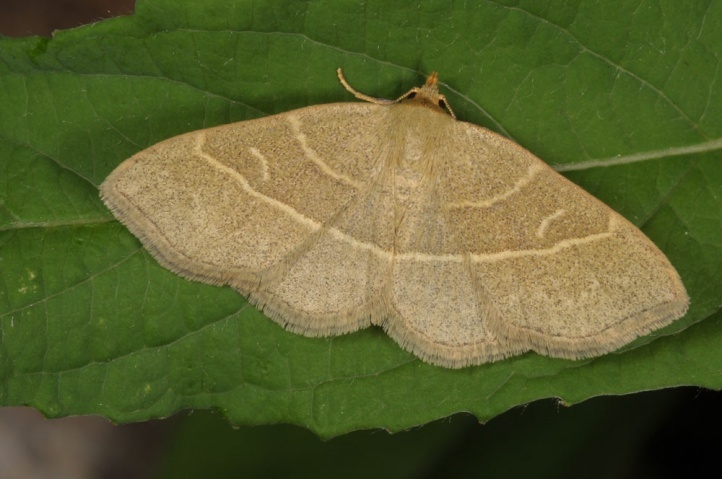 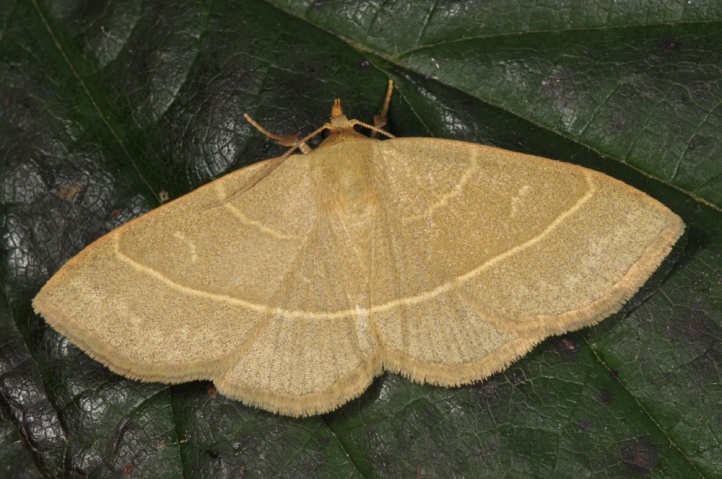 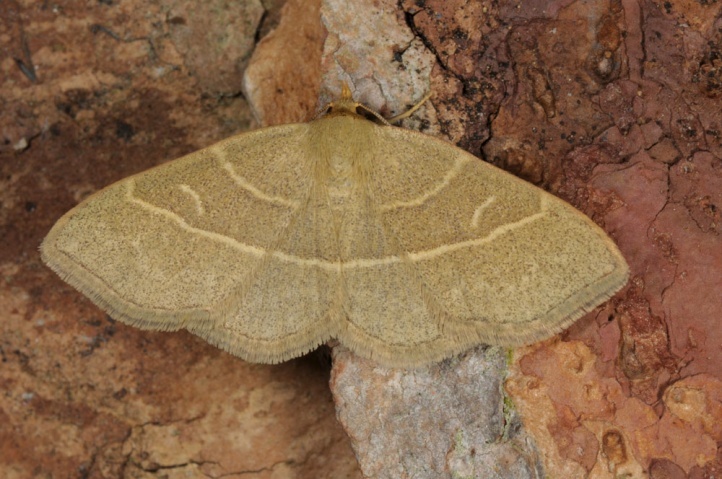 August moths may belong to a partial second generation. 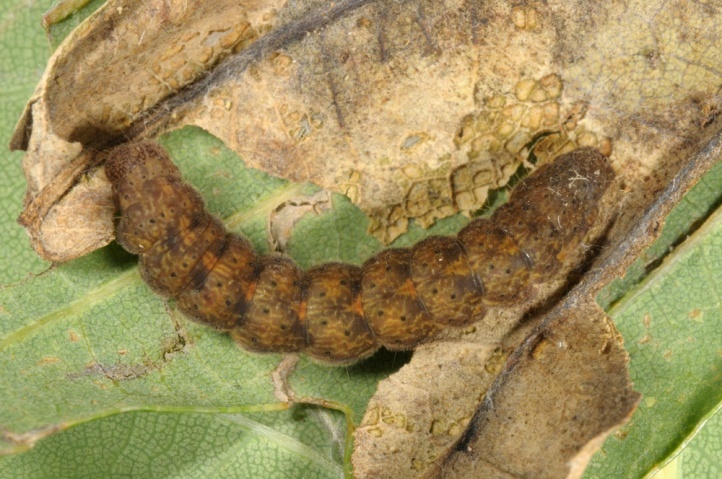 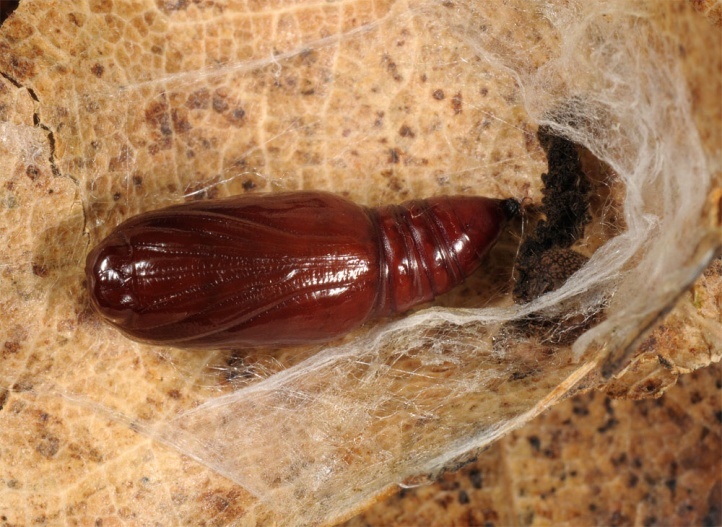 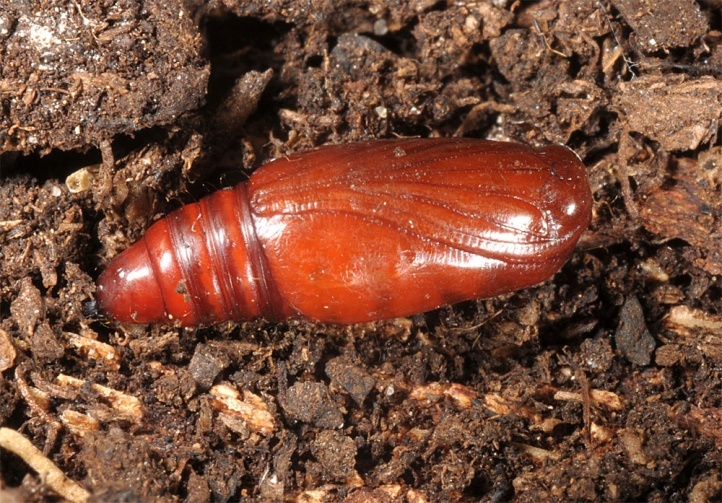 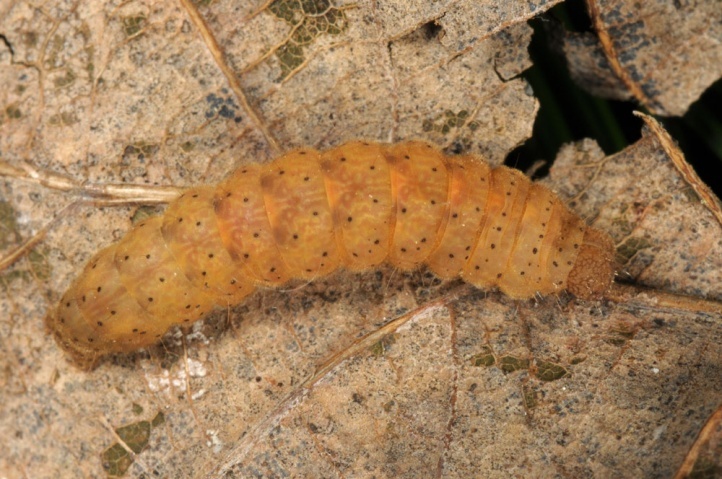 The caterpillar lives from late June to early October. 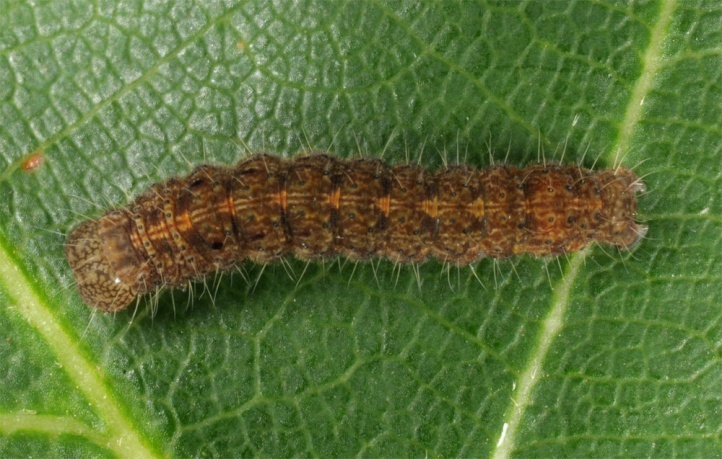 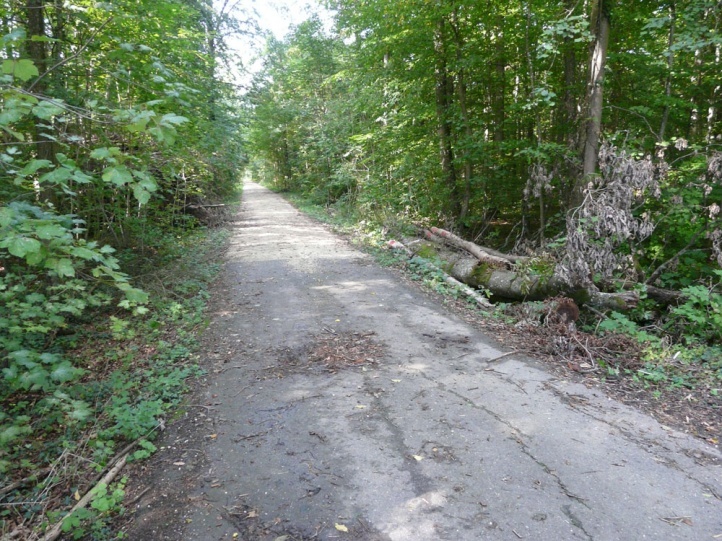 I found some on the eastern Swabian Alb from July to mid-September 2011. 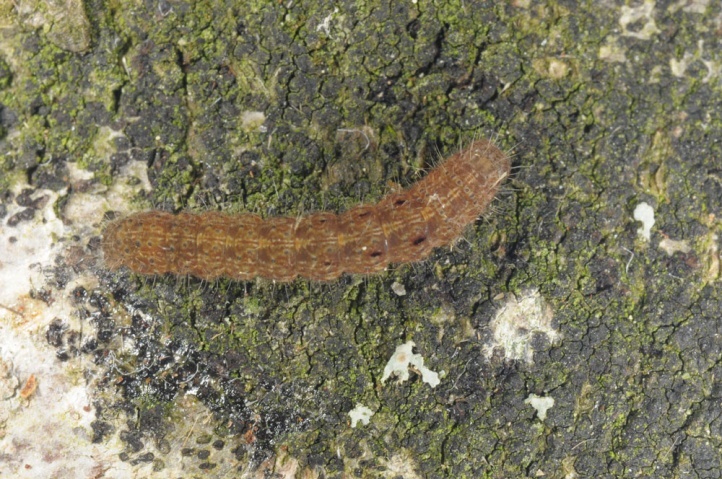 The distribution ranges from Northern Spain across Europe (except the Arctic and southern Mediterranean areas) and temperate Asia to Japan.